It seems like the concept of ‘home’ these days is rather problematic for many young globetrotters like myself. And not only to ourselves, but especially for others. My answer to the question “What do you consider ‘home’?” can be confusing as I can’t properly give a clear answer. I mean, sure, I could: My Dad still lives in the house that I called ‘home’ from the age of one to six and again from the age of ten to eighteen. I also have a key to a little one-room apartment in Helsinki, which I rent out when I live abroad. Logically and technically my home ought to be in Finland. So what’s the problem then? I’ve been moving from country to country since the age of six and I haven’t really stopped since. This makes the concept of ‘home’ far more complex than a question of mere physical whereabouts. Some call me rootless, some say I’m an adventurer, there are times when some might have even defined me as straightforward homeless. All statements mirror my reality in a way but still, I somehow always manage to feel at home. “Home is where the heart is” they say. To me, it makes perfect sense. Let me elaborate. I’ve distinguished a type of routine – an essential plan of actions for moving, if you may. I guess it has become more of a conscious scheme over the past few years, now that I think about it. 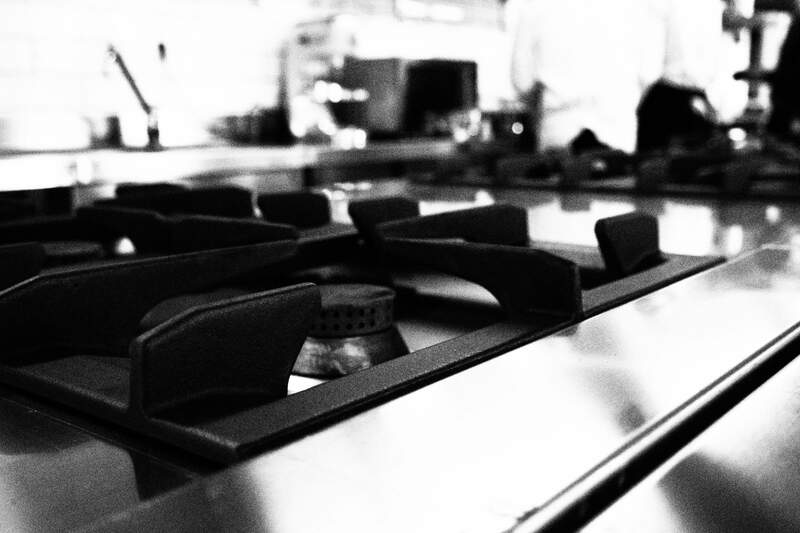 Looking for a roof over my head aka a ‘home’ in a new city or town, only one thing really matters to me – the kitchen. I know it sounds distorted to most people, but I’ve seriously given this a lot of thought. I can deal with almost any other flaws, imperfections or lacks in terms of housing, but when it come to the kitchen, I can be very picky and unconditional. But it’s not what you might think. I’m not looking for a huge, perfect kitchen with all kinds of gadgets and secret drawers, cooking islands and what-have-you, not at all (even though having all that can be pretty damn cool). It’s not even about the physical space per se; it’s about how I feel spending time in it. I might sound s like a freak saying this, but what I’m after is the soul, the heart and the spirit of the kitchen. When those are in place and I feel good in the space, I politely ask for a pen to sign the rental contract. That’s when I’ve found a place to call ‘home’. See, even as I’m typing this piece, I’m sitting in my kitchen. The smell of a quick and easy zucchini frittata cooking on the gas stove behind my back fills my kitchen with its luring aroma. I might as well be sitting in one of the two other rooms in the apartment, the bedroom or the living room, to distance myself from food smells that might turn some people off. It would probably be less messy and more suitable even. The thing is though, I just don’t feel like it. In fact, there are only a handful of occasions in which I’d rather make use of another space than my kitchen. Actually, I believe I wouldn’t be exaggerating if I claimed that there’s almost nothing I wouldn’t do in my kitchen. All orthodox and unorthodox activities aside, the kitchen is where I store my most precious utensils, where I unpack my groceries, where I Skype with my family and, obviously, where I cook and eat. It’s the only place in my home – where ever that may be – which is always in an impeccable state and where I keep a strict order. As a matter of fact, it might take me months to fully settle down in a new home but as far as the kitchen is concerned, it’s always ‘up and going’ in no time. It has happened more than once that although I’ve found myself surrounded by mountains of boxes, bags and bubble wrapping, I still manage to prepare a perfectly delicious meal. Even if I’m forced to make a table and chairs out of those other boxes, I will. I believe that it is in the heart that one feels at home and the kitchen is the heart of the home. It’s not a coincidence to describe it as that. In the Middle Ages when a peasant home consisted of only one single room, the ‘kitchen’, an open fire used for cooking and other things, was in the centre, i.e. the heart of the room. It was placed there for logical reasons: to provide light and warmth, food and company to all equally. But the kitchen has not always been the heart of the household, far from it – literally. Families of the upper class would’ve never wanted the kitchen, a dirty and dangerous space for servants, anywhere close to their fancy living room for example. If possible, a whole separate kitchen block was built as far from the rest of the house as possible. Fine people of high social status didn’t want to be effected by the smells and possible fires. The ‘dirty work’ was left to the cook and his team. Nowadays, I’m rather confident when I say that the kitchen is once again the heart of homes and its separation from the rest of the house seems ludicrous. And not only that –kitchens have become show rooms reflecting the wellbeing of the family. This is surely not a 21st century trend, not at all; in fact ever since the wave of mechanisation of the kitchen began in the 1940s, kitchens have been pimped up with the most expensive, posh machines and fancy robots and devises. Plus, the smell of a home-cooked meal is exactly what you want your guests and loved ones to encounter first thing when they enter your home after a long day’s work. Like I said, some of the gadgets, such as a full automatic oven with a built-in cooking thermometer, would be a fun toy, no doubt about it. But sometimes I wonder whether any people get the feeling of warmth, the feeling of home as soon as they step into an empty, simple kitchen. It is said that one can do anything as long as one is motivated enough. When it comes to building myself a ‘home’, there’s nothing that can stop me. There’s just something about being able to prepare a warm and soothing meal after a long day that makes everything else seem unimportant. A meal, rather ephemeral to many, is for me the one thing that creates a sense of stability and comfort – the two essential qualities of a home, if you ask me. Even though cooking and eating an average weekday dinner might barely last an hour, once you repeat it day after day, you’ll feel like home also on the outside. Home is where love is, and love at least to me is standing in a kitchen, gently mixing a slowly cooking stew.